Size: approx. 12 mm. Photo: 04/05/18, 10 pm. 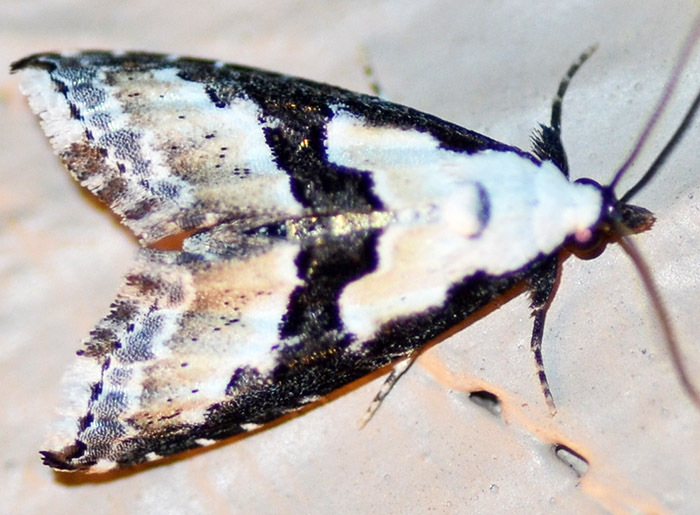 Pretty, medium-sized moth with a prominent, slightly slanted, black bar across its wings. Larvae of this species have been reared on freshwater green algae, but probably also feed on lichens. Wikipedia list the moth's common name as "Thin-Winged Algibelle".